In its distribution center in Arizona, Intel successfully deployed the Pick-by-Vision solution xPick, developed by Ubimax. With minimal ramp-up time, Intel was able to reduce its required pick time per box by 29 percent. By using xPick running on Intel® Recon Jet™ Pro Smart Glasses, picking processes were sped up significantly. Picking error rate, employee training time, and process ergonomics for pickers also improved. Bremen, April 06th 2017 – Intel piloted the Ubimax Pick-by-Vision solution xPick in its worldwide Distribution Center in Chandler, Arizona (U.S.). Order pickers were equipped with xPick running on Intel® Recon Jet™ Pro Smart Glasses paired with wearable ring scanners. During a two month pilot, similar orders were provided to all operators – order pickers with traditional hand-held scanners and those equipped with Vision Picking Smart Glasses. Vision Picking clearly had an immediate positive impact on picking speed, error rate, employee training requirements and downtime – with minimal ramp-up time, Intel reduced its KPI “pick time per box” by 29 percent. Percy Stocker, COO, Ubimax, points out the benefits over conventional scanner solutions: “Having the relevant information always right in front of the eye combined with intuitive hands-free interaction methods leads to less stress and makes our xPick solution superior to often confusing hand-held scanners”. Chelsea Graf, Enterprise Wearables Director, Intel, states: “The real benefit that we got from using Intel® Recon Jet™ and xPick is the fact that workers can be brought in during peak periods and immediately contribute as if they had been trained for a long time”. On the very first use without any training, order pickers were already 15 percent faster using Vision Picking compared to the picking process with hand-held scanners. Thanks to hands-free order picking and the intuitive graphical user interface displayed in the field of view of the workers, the picking workflow was significantly accelerated and errors were reduced. Pick confirmations via light-weight barcode ring scanners contributed to both performance increase and improved ergonomics. 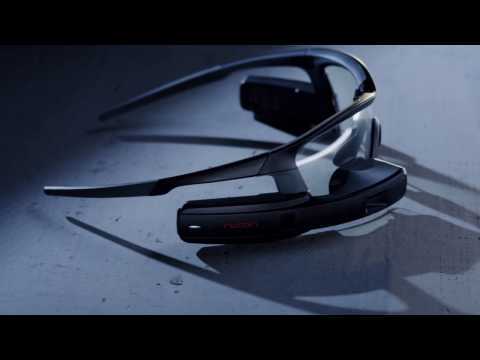 Workers explicitly emphasized the high wearing comfort of the Intel® Recon Jet™ Pro Smart Glasses, the positive impact of hands-free working and the intuitive usability of xPick. The pilot shows the tremendous optimization potential which exists in today's warehouses which can be unlocked by state-of-the-art Wearable Computing technology. Based on the promising outcomes, Intel is evaluating the further expansion of the xPick solution in its warehouses around the globe. Ubimax is global market leader for Industrial Wearable Computing solutions, creating fully integrated solutions powered by latest Wearable Computing technologies to improve business processes. The Ubimax Enterprise Wearable Computing Suite includes “xPick” for order picking, “xMake” for manufacturing and quality assurance processes, “xInspect” to support service and maintenance technicians and “xAssist” for remote assistance functionality. With offices in Germany, the U.S. and Mexico, over 10 years of experience and an extensive track-record in the fields of Wearable Computing, Augmented Reality, Mixed Reality and Sensor Systems, Ubimax today serves more than 100 customers and is a clear forerunner in the market.